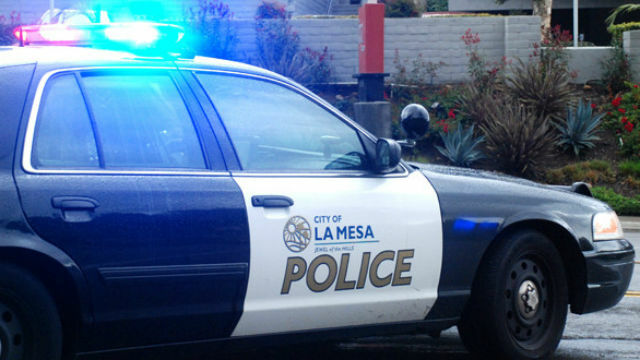 The La Mesa Police Department plans a “use of force” review after video emerged over the weekend on social media showing an officer roughly slamming a teenage girl to the ground. The Helix High School student was suspended by administrators and arrested after she refused to leave campus. School staff called police for assistance at about 1:20 p.m. Friday when the 17-year-old girl would not comply with directions to leave school grounds, La Mesa Chief of Police Walt Vasquez said in a statement. An officer tried to get the student to leave voluntarily, then ordered her to do so. She refused to cooperate, Vasquez said, and the officer arrested her and placed her in handcuffs. “As they were walking, the student became non-compliant on two separate occasions and made an attempt to free herself by pulling away from the officer,” Vasquez said. “To prevent the student from escaping, the officer forced the student to the ground. The student received “minor abrasions” in the incident, Vasquez said. She was taken to the La Mesa Police Department, where she was evaluated by paramedics and determined not to require treatment, he said. Police are aware of and in possession of the video of the student being taken to the ground, Vasquez said. Community members in La Mesa were planning a protest Monday morning outside the high school.